Capacity: 500 passengers, 12 sleeping cars and 2 baggage wagons (or 40 x 25 foot(7.62m) goods wagons), 25 cars. March 1935: Delivered to Southern Railways, London, England. 1935: Berthed in Southampton until the opening of the “Train Ferry Dock” at Dover in 1936. 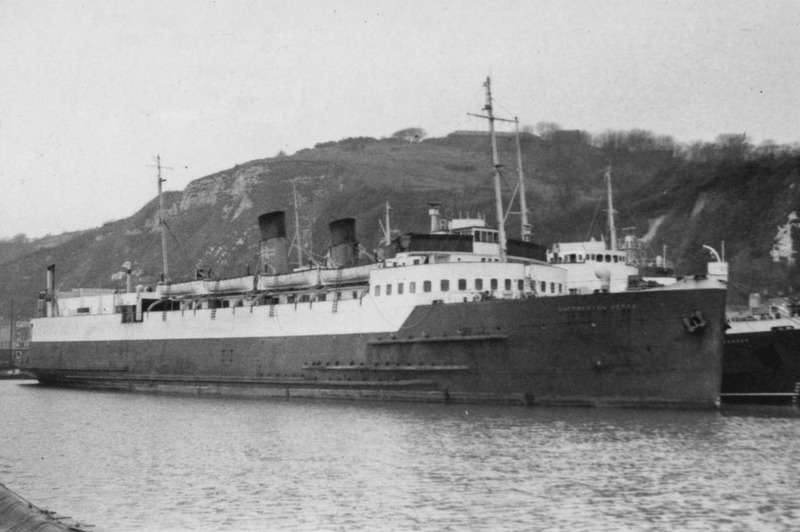 November 14th 1936: Commenced service between Dover – Dunkerque. September 5th 1939: Having been withdrawn and fitted out as an auxiliary minesweeper she was commissioned, at Portsmouth, as HMS SHEPPERTON. September 8th 1939: After completing practise mine runs in the Solent she arrived at Dover to load. September 11th 1939: Together with HMS HAMPTON set sail and continued laying mines in the Dover Strait. 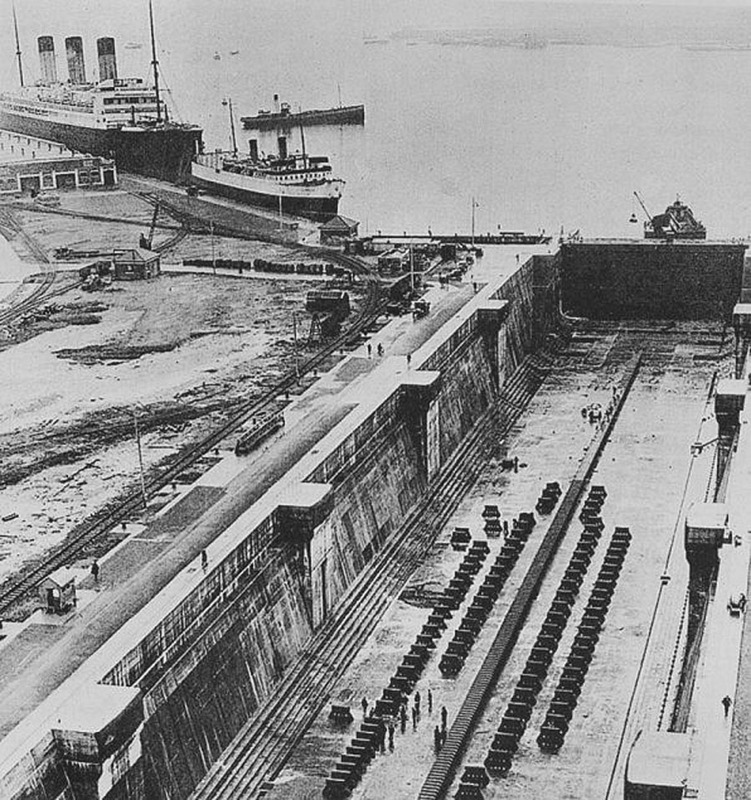 November 2nd 1939: Laid her last mine. November 4th 1939: Arrived at Portsmouth to have her mine laying equipment removed, to be adapted for military use and to be equipped with a 12 pdr gun. November 27th 1939: Paid off and steamed back up the Channel. 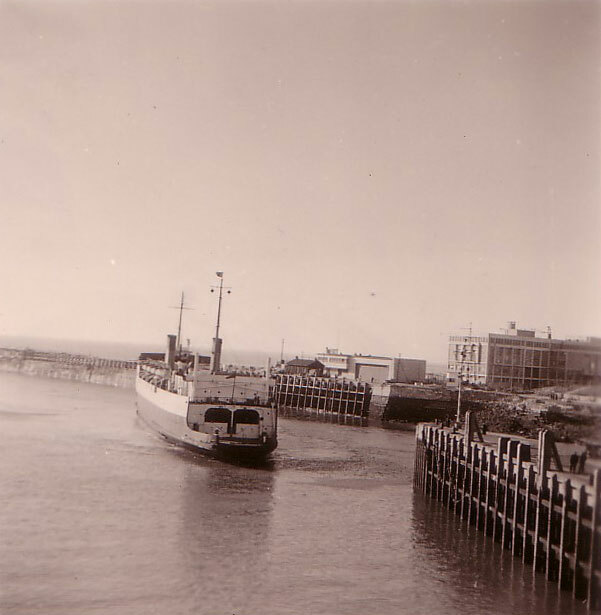 December 21st 1939: Arrived at Dover as SHEPPERTON FERRY. 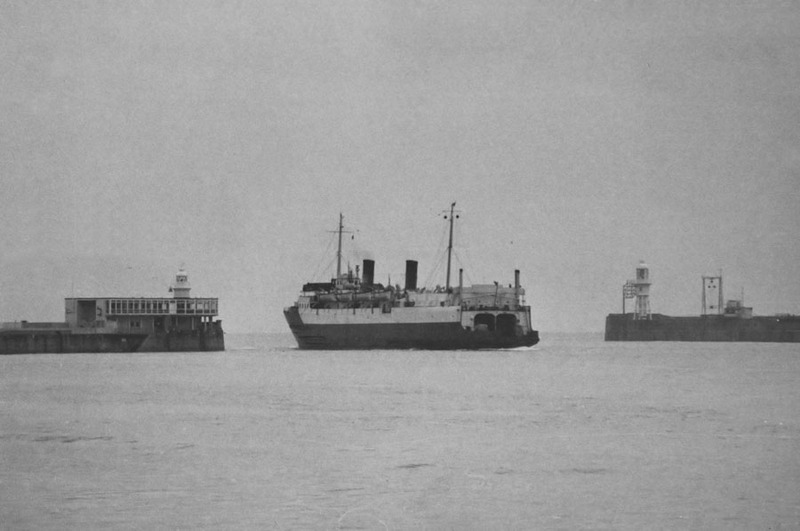 Sailings to Dunkirk with military vehicles and their attendant servicemen. May 28th 1940: Maintaining the service was deemed unsafe and she was ordered to Southampton. 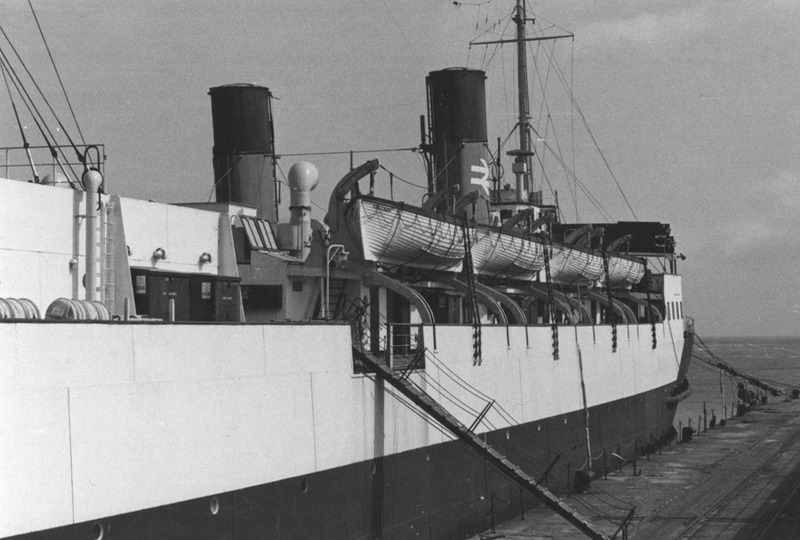 June 20th 1940: Arrived in Jersey, loaded military stores and crossed to Southampton and remained there until July 2nd. 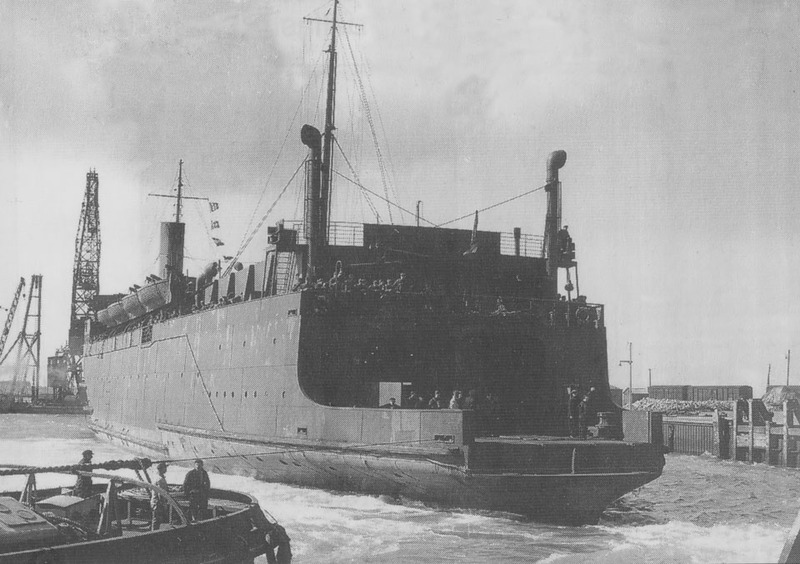 July 7th 1940 – June 1944: Commenced service as a troop-transport between Stranraer and Larne. 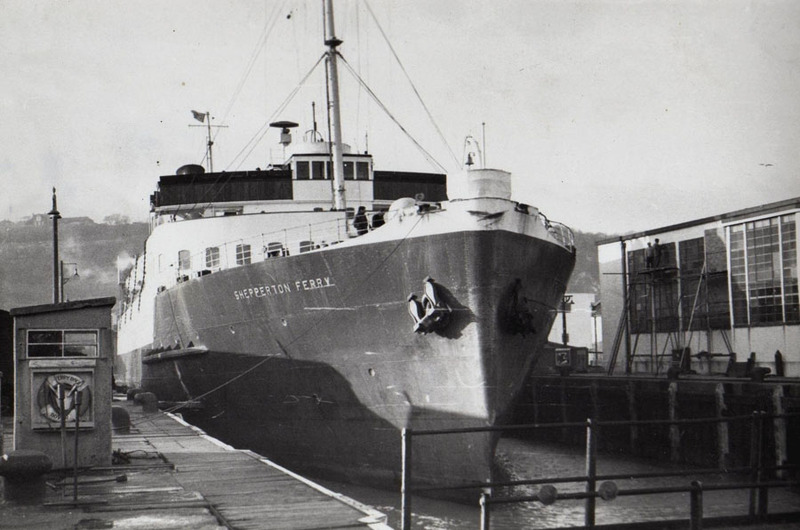 November 10th/11th 1940: In Loch Ryan during NW gale, dragged her anchor at Stranraer and drift ashore one mile east of the pier where she remained until high water the following night. December 6th 1940: Again in Loch Ryan, dragged her anchor, damaging her stem and port bow against PRINCESS MAUD, which was also at anchor at the time. May 5th 1941: At Belfast during an air raid and took a direct hit from a bomb: her bridge was severely damaged and her shell plates perforated but nevertheless she was on the move again within three weeks. July 29th 1944: Arrived on the Mersey to be fitted out to carry locomotives, vehicles and stores between Southampton – Cherbourg. Fitted with special cranes on the vessels stern, weighing 258 tons and jutting 35 feet beyond the vessels stern. Similar to a kind of derrick fitted with great straps for lifting engines, each strap weighing 2.5 cwt. 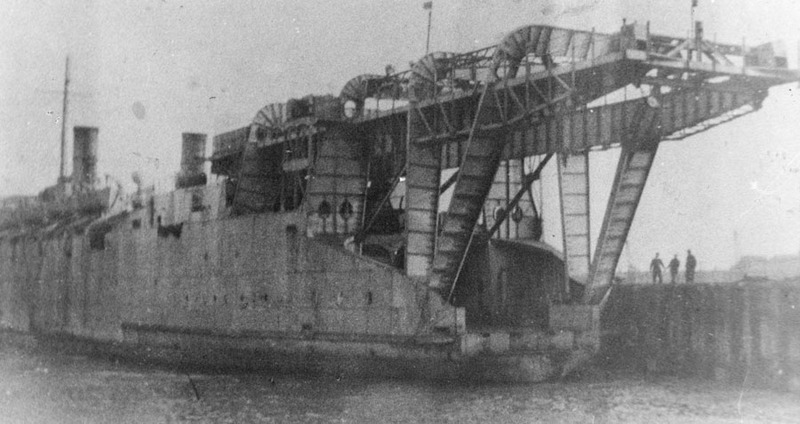 For vehicles of less than 60 tons a ramp was used, and beyond that the derrick, which could cope with a load of 84 tons and would first lift and turn the engine and then drop it gently on board.. A ferry’s full load was 16 locomotives, with the engines ready coaled and about 20 trucks. 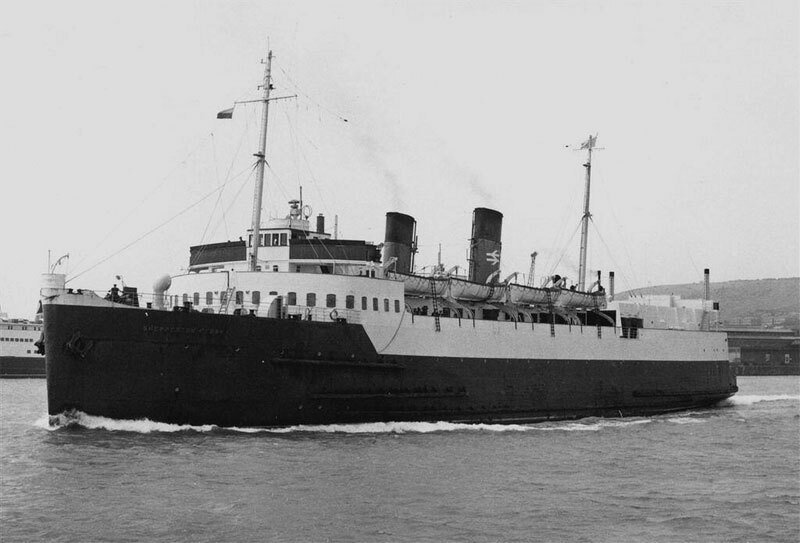 August 17th 1944: First sailing Southampton – Cherbourg. November 13th 1944: Instructed to sail direct from Cherbourg to Dover. 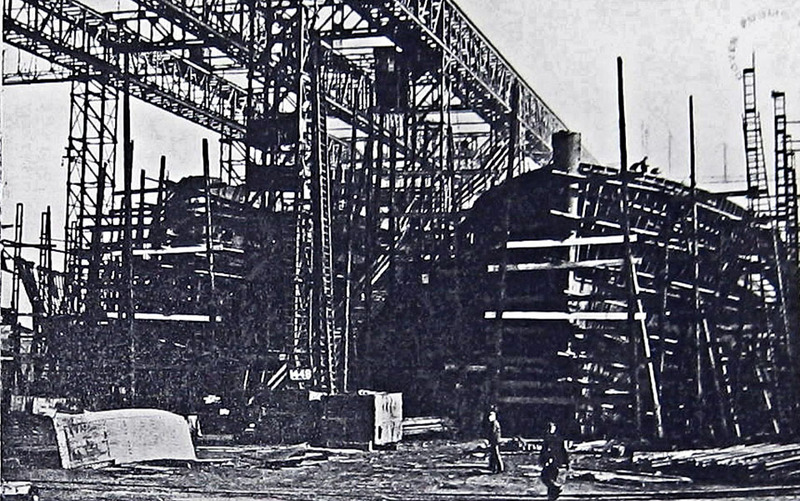 It had been decided to use Dover – Calais route for railway shipments and the vessel berthed at the French port, using her stern gantry. November 20th 1944: First cargo sailing. January 1945: Made 11 crossings carrying a total of 9,621 tons. 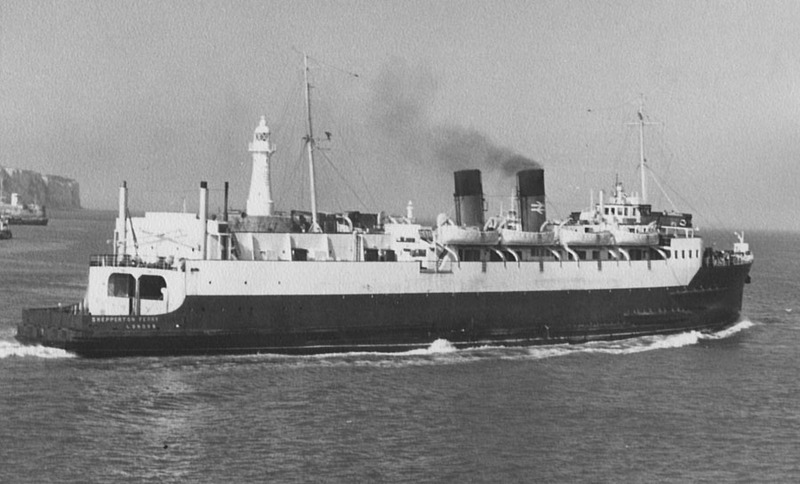 May 1947: Final sailing between Dover – Calais. She was then sent to the Clyde for refitting and conversion to burning oil instead of coal. 1947: Redelivered to Southern Railways and re-installed in train-ferry service, re-opening the post-war London-Paris “Night Ferry“. January 1st 1948: Registered to British Transport Commission, Southern Region. April 17th 1948: Collided with the quay wall of the dock at Dunkerque, sustaining damage to her plates. November 29th 1950: Grounded for some time on the wreck of a destroyer outside the lock at Dunkerque and was withdrawn for repairs at Newport. On her arrival there she accidentally grounded again, this time on the submerged wreck of a Royal Navy motor torpedo boat and was not towed clear until midnight on the day of her arrival. Following temporary repairs she was taken to Cardiff for a full overhaul. 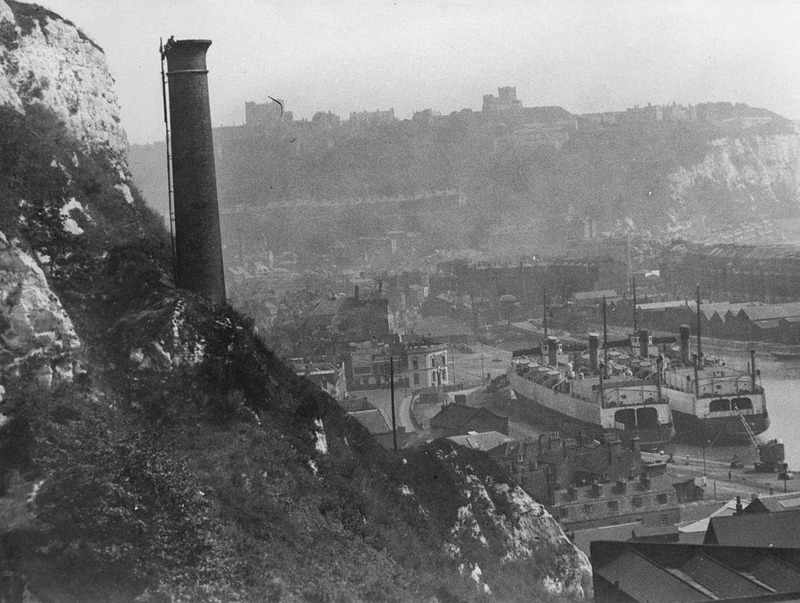 December 1950: Returned to Dover. 1953: Had her rear doors stiffened. 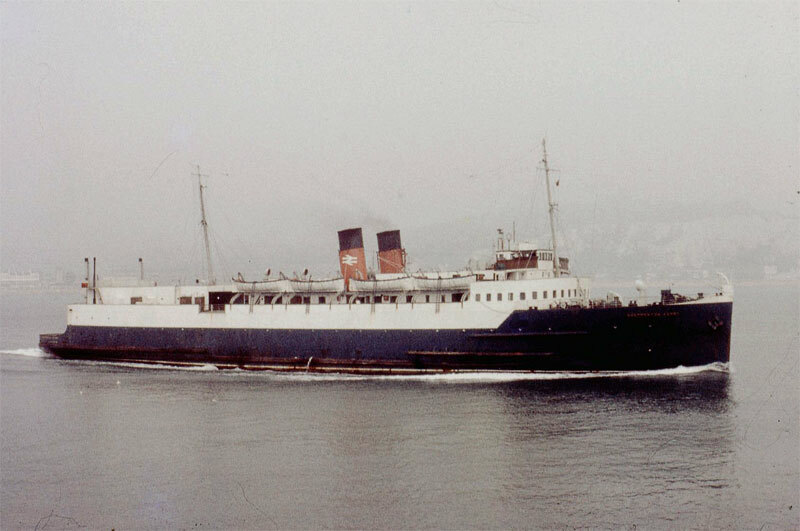 1956: Operated between Dover – Boulogne covering for LORD WARDEN which was under repair for several months following a collision. 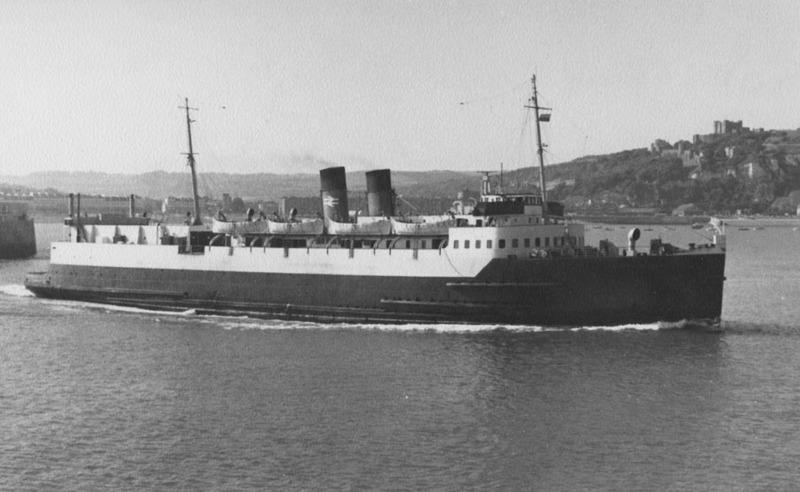 April 9th 1962 – April 17th 1962: Operated as relief between Stranraer and Larne. 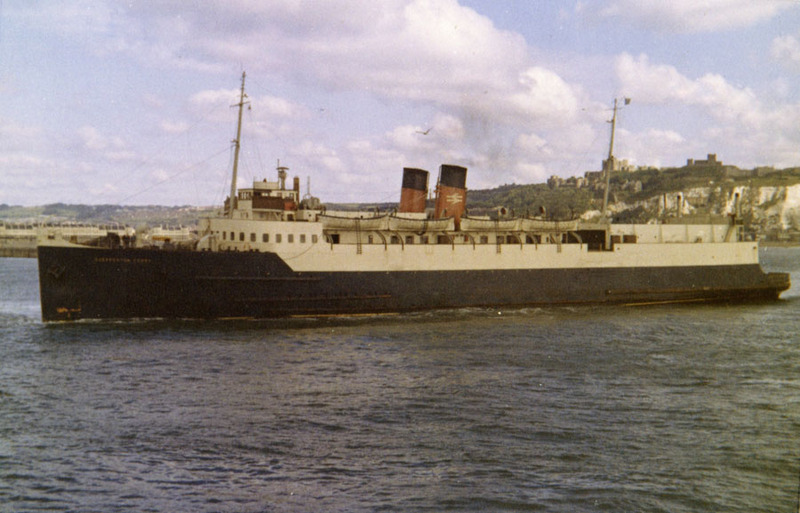 March 2nd 1963 – March 19th 1963: Operated as relief between Stranraer and Larne. 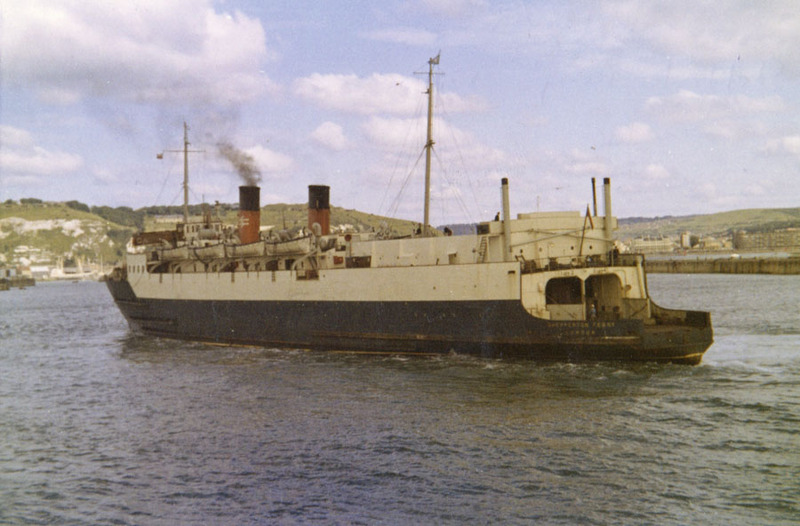 February 24th 1964 – March 14th 1964: Operated as relief between Stranraer and Larne. 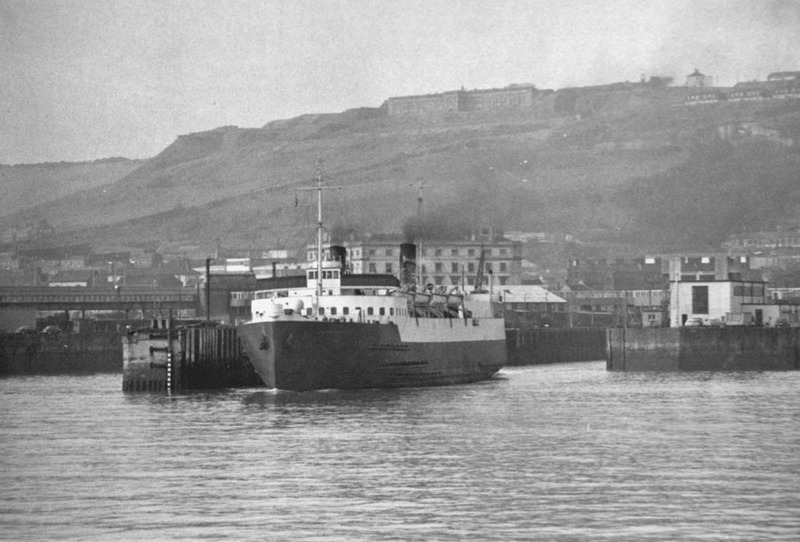 February 15th 1965 – March 3rd 1965: Operated as relief between Stranraer and Larne. 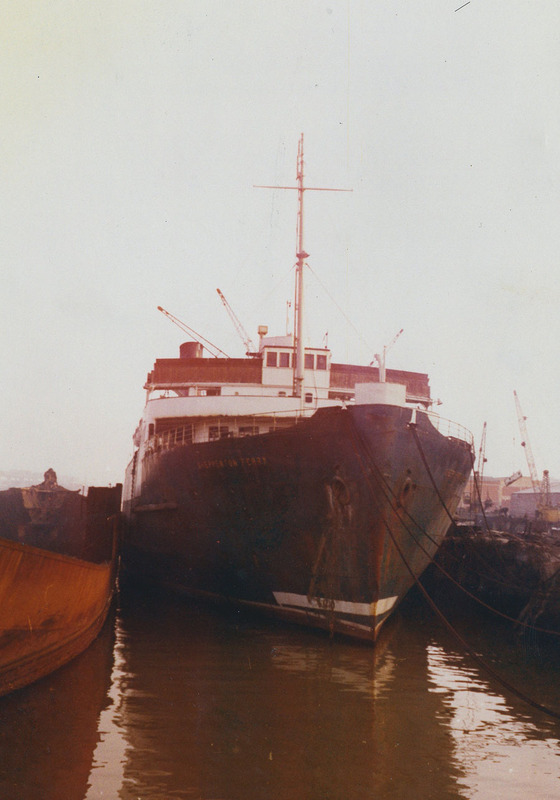 November 1969: It was announced that British Rail’s Shipping and International Services Division (SISD) had adopted the new brand name Sealink and as a consequence all vessels were eventually painted in the new house colours. 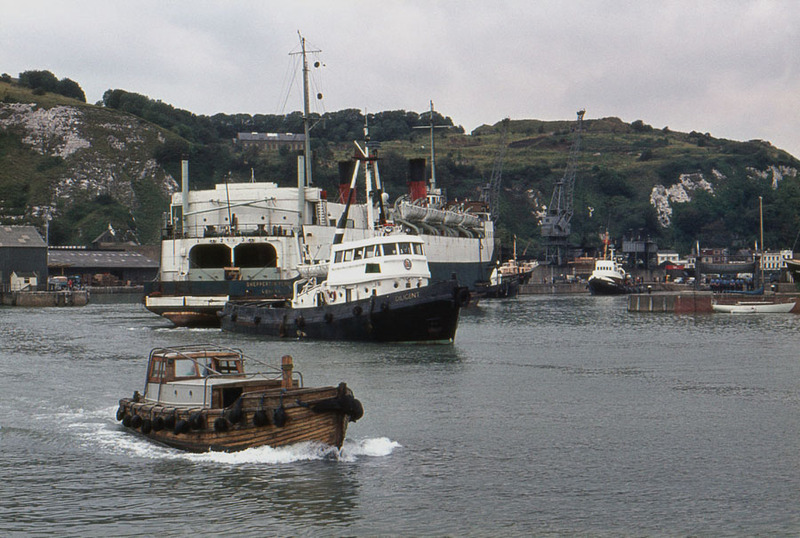 August 26th 1972: Final day in service between Dover – Dunkerque, then laid up in Dover. September 12th 1972: Towed from Dover to Bilbao. 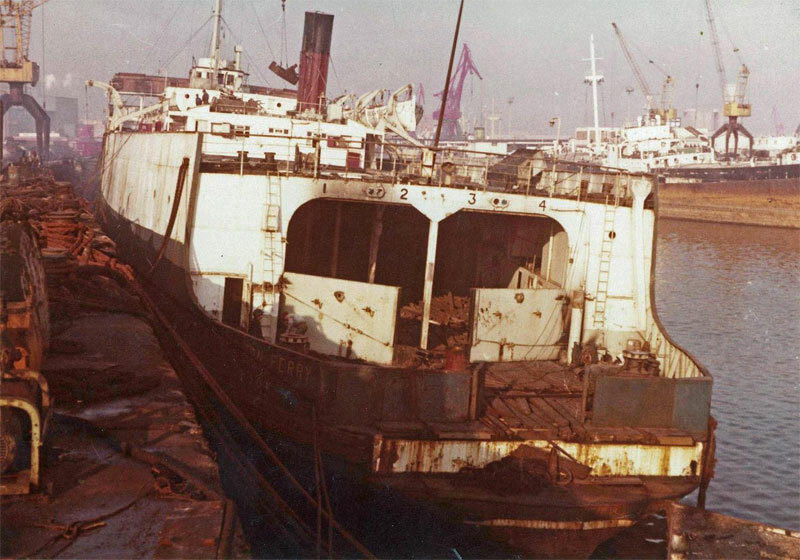 September 17th 1972: Arrived Hierros Ardes S.A, Bilbao, Spain for scrapping. All information is believed to be correct and no responsibility is accepted for any errors or omissions found. All items included in this article are subject to © copyright. We would like to take this opportunity of thanking: A G Jones, Ted Ingham and Stéphane Poulain for their assistance in compiling this feature. This is a very nice page. 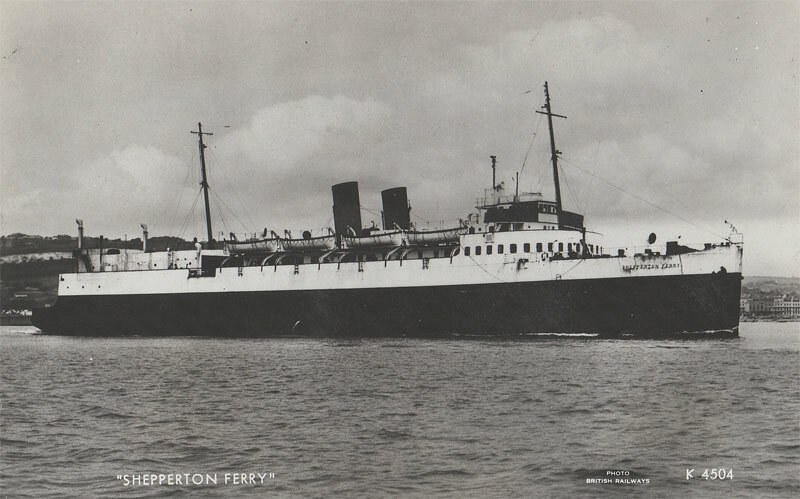 I’m interested in any information relating to the collision between the Shepperton and a Dutch coaster on 21 December 1938. 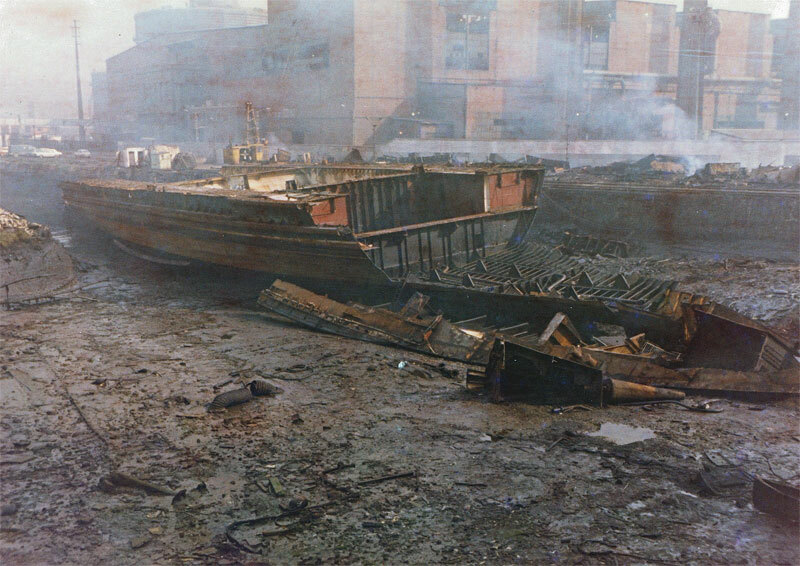 I believe that my grandfather was on the boat at the time. 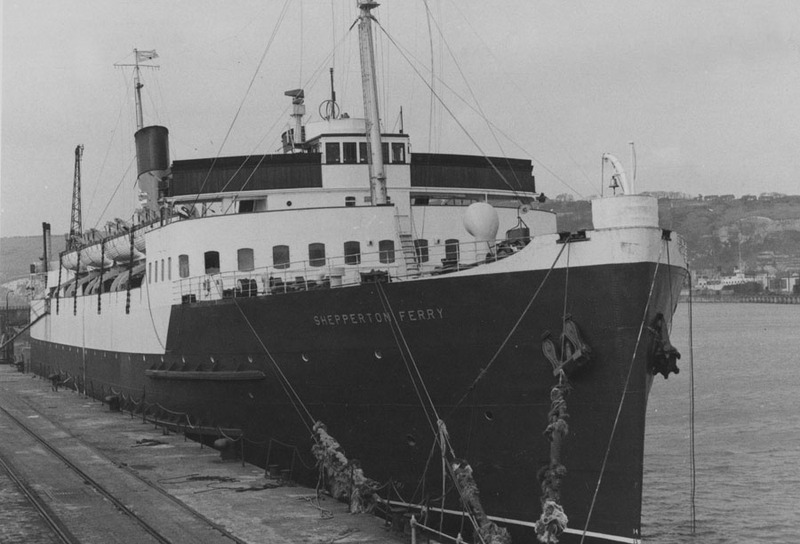 Although there is some information on Wikipedia @ http://en.wikipedia.org/wiki/SS_Shepperton_Ferry I have not included it here until I have found more detail. All part of the ongoing nature of this site! Very interesting to see the timetable of events. I have my grandfather’s (William Bilton) Certificate of Discharge book that was issued on 7th November 1941 on entry into the Merchant Navy Reserve Pool. The final discharge from the Shepperton Ferry was 11th October 1945 at Dover. He then transferred to the Invicta until his retirement in 1960.